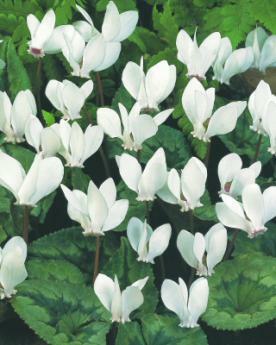 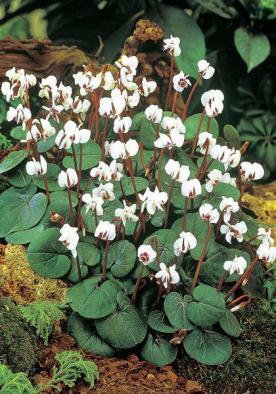 One of the prettiest subjects is the gathering of Hardy Cyclamen under the shelter of trees or an established clump in the rock garden seeding themselves freely. 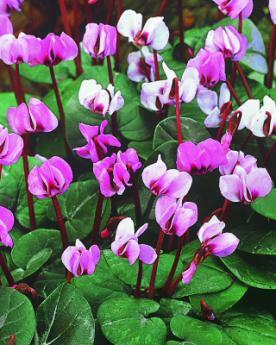 The dainty little blossoms are very weather resistant and last for many weeks. 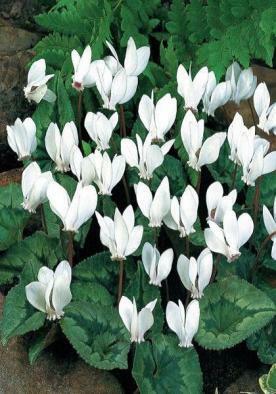 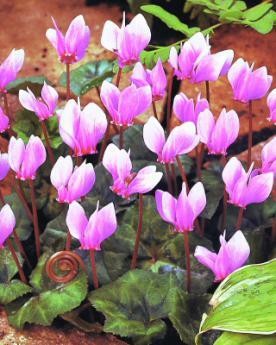 All our cyclamen are nursery pot grown stock which will establish quickly.